A flurry of testing and they're done. They need to marinate at the back of my mind. In short, they need a lot of time and energy to make them as good as they can possibly be. 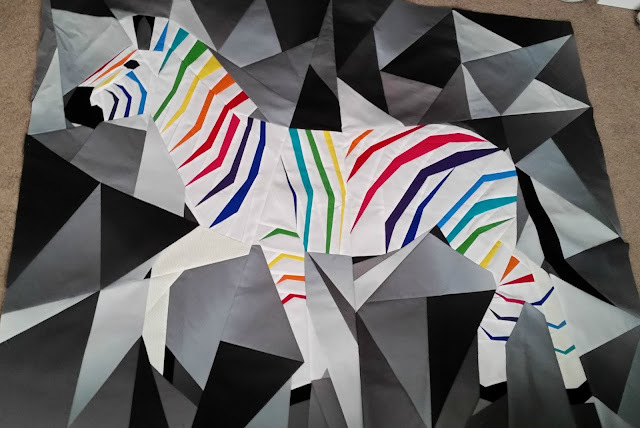 The Running Zebra pattern is the biggest pattern that I have released to date (both in terms of the size of the finished block and the size of the paper that it is printed on). The learning curve was steep and it is definitely the single pattern where I have learnt the most along the way. 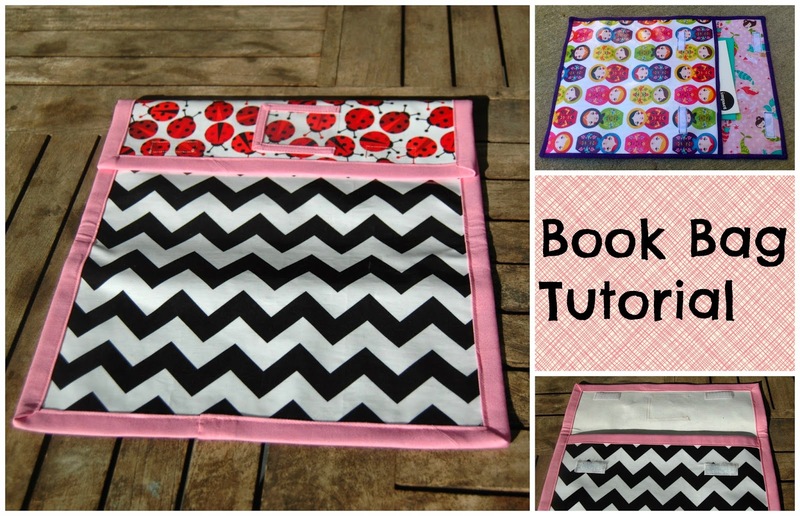 When I first came up with the design for this pattern, I tested it on a small scale. 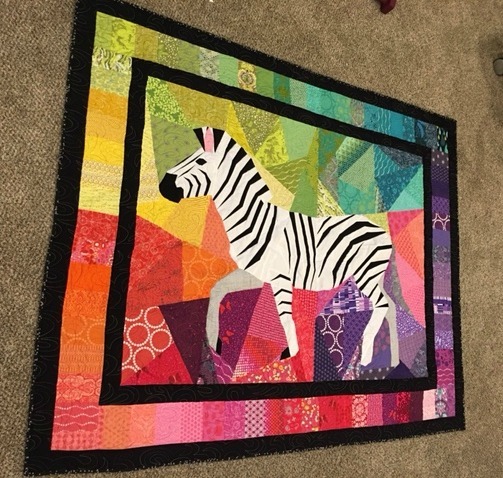 I turned it into a baby quilt and gifted it to one of my husband's colleagues. 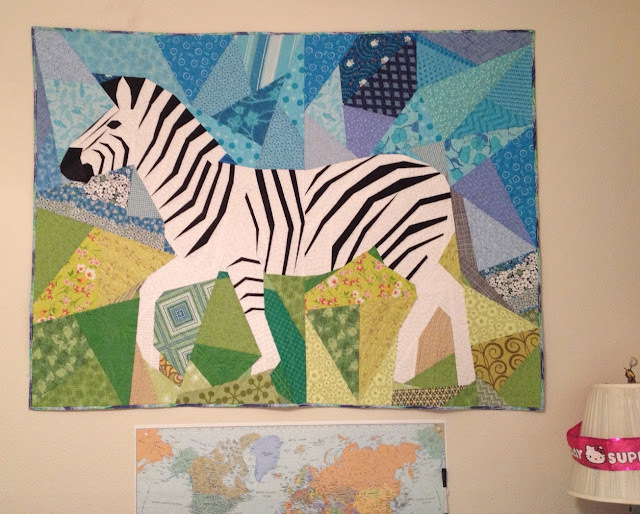 But before I had even sewed it at this scale, I knew that I wanted the pattern to be big. 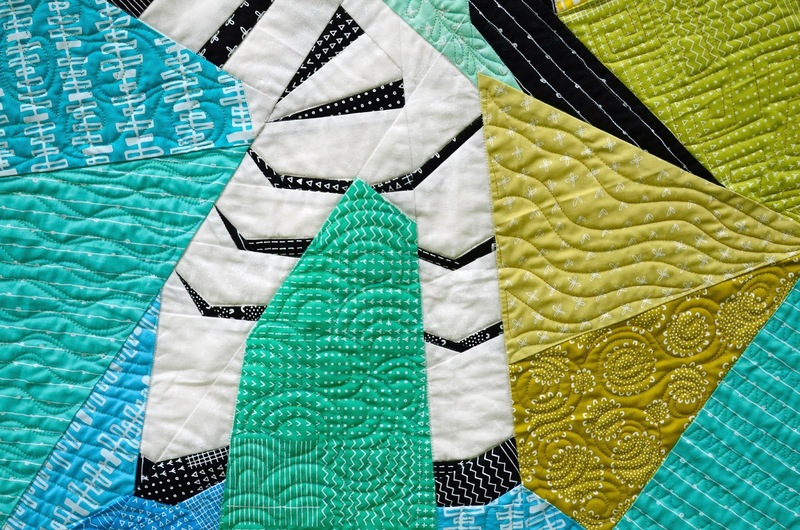 Pattern testers have been instrumental in improving the pattern. 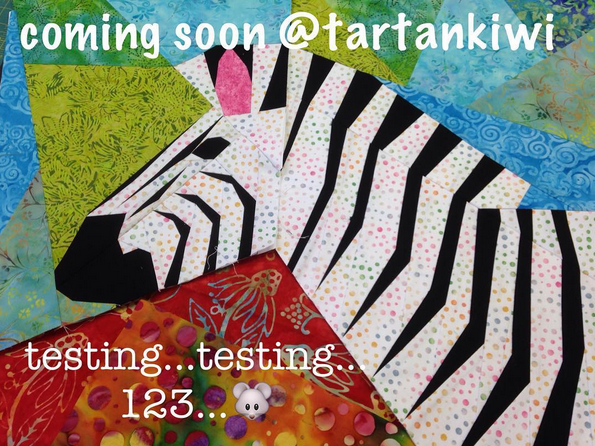 They have given me honest feedback and helped me to look at the pattern through a different set of eyes. Some have helped with the nitty gritty details, others have shown me how to improve the design. I am enormously thankful for everything that they have done to help me. When I first started formatting the pattern for release, I intended to release two versions- one version on A4/ letter paper and a separate version printed on A3/ ledger paper. I really really tried to make this work, but unfortunately it just wasn't feasible. The A4/ letter version printed on 60 pages and the workload involved in creating it was untenable. After the first round of testing (when only one tester finished the A4/ letter paper version of the pattern), I decided to ditch the A4/ letter version, but I didn't want to exclude those who do not have access to a copyshop so I have included instructions by which people can shrink the pattern and print it on A4 or letter paper. 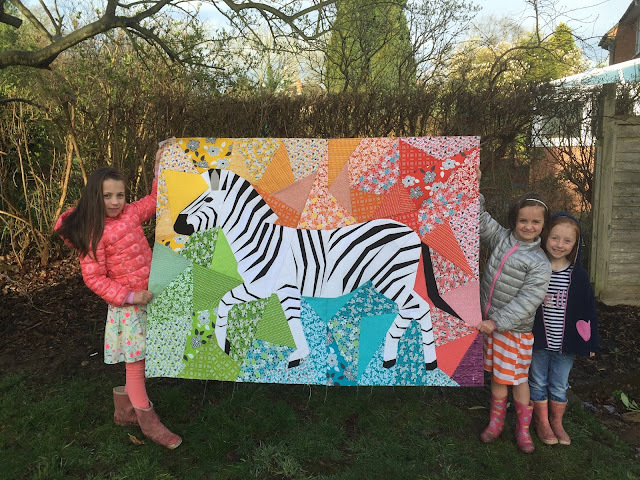 When printed on A4 paper, the zebra block will measure approximately 42" x 32" (107cm x 81cm). My finished quilt (complete with borders) measures 63" x 80" (162cm x 200cm). 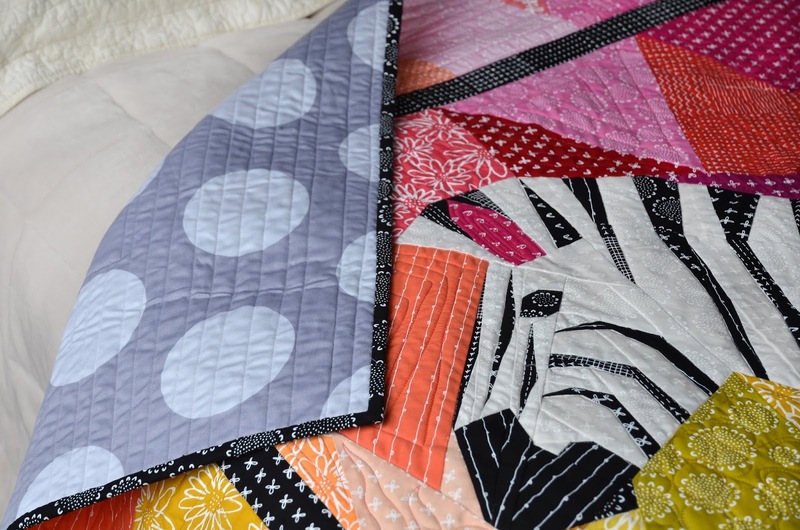 It is made with Karen Lewis' beautiful Blueberry Park Fabric as produced by Robert Kaufman. 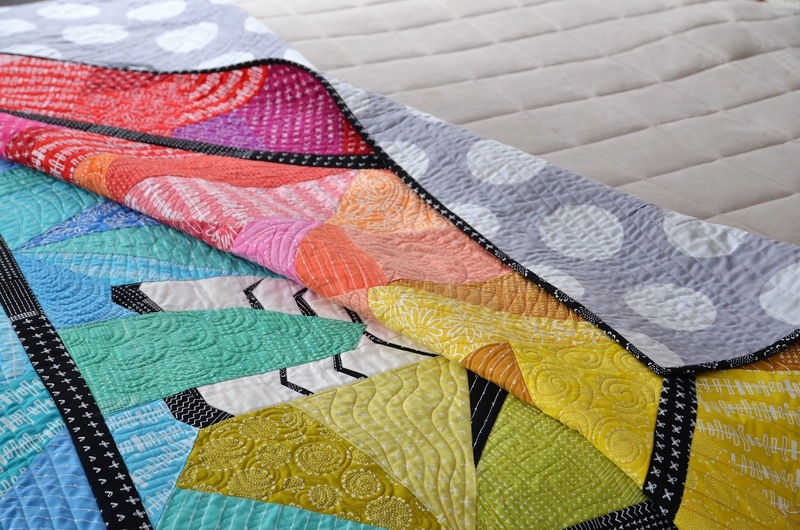 I must admit that I didn't do the quilting myself. 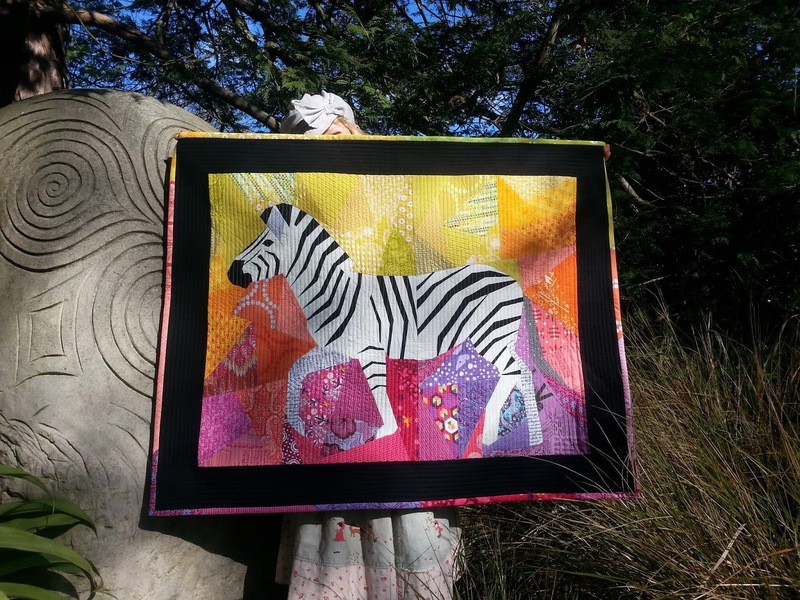 The ultra talented Leeanne of Quiltmekiwi had lots of fun quilting this for me. 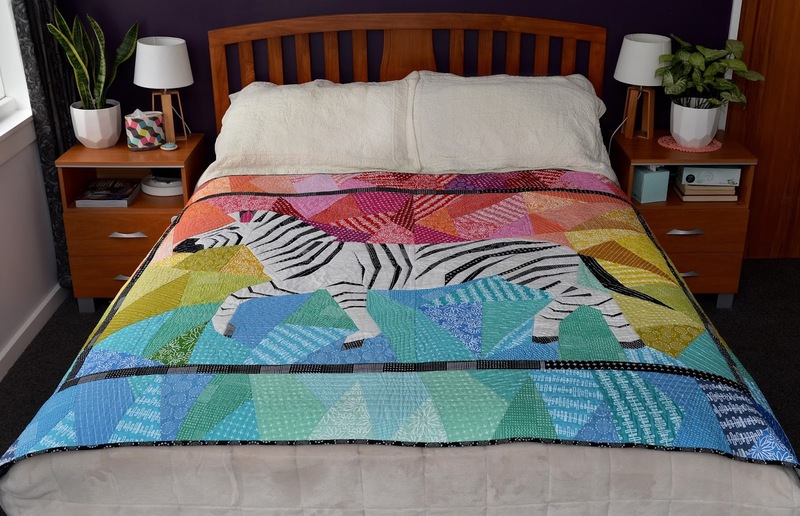 I adore the way that it turned out and it has been enthusiastically claimed by my 5 year old son. The pattern includes a pattern template for the fractured border. By adding borders, this pattern can be used for a twin size bed quilt. 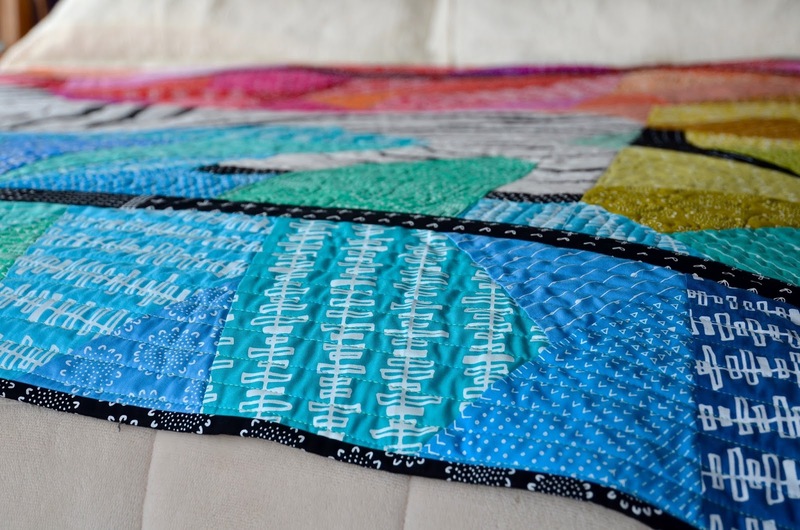 The instructions for the border are not super exact, but I kind of assumed that this is not a pattern which will be done by beginners and I like the idea of giving you the necessary building blocks and allowing you the freedom to make your own creative decisions. As I said, pattern testing was critical with this pattern and by looking at the following photos, you will be able to see the evolution of this design. Don't you love Jill's creative use of ombre fabrics? Such a great interpretation of the pattern! 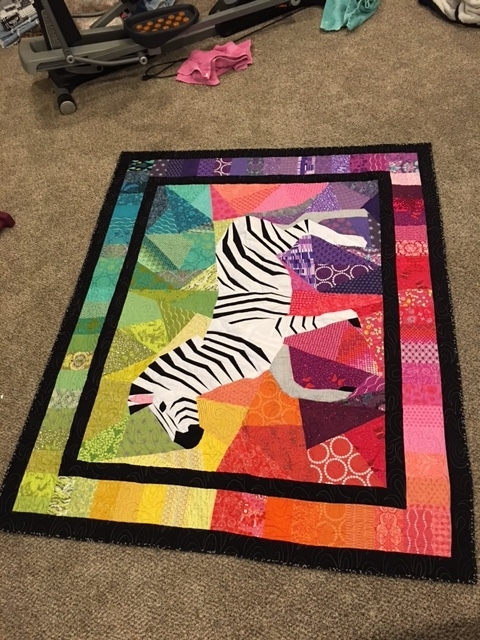 Amy C did a beautiful job, she turned her zebra into a wall hanging for her lucky 9 year old niece. 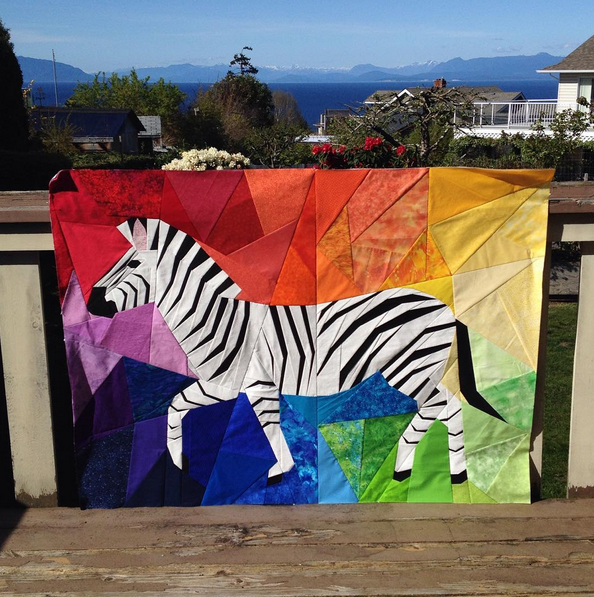 Amy V gifted her colourful zebra to a lucky quilting friend. I love it! 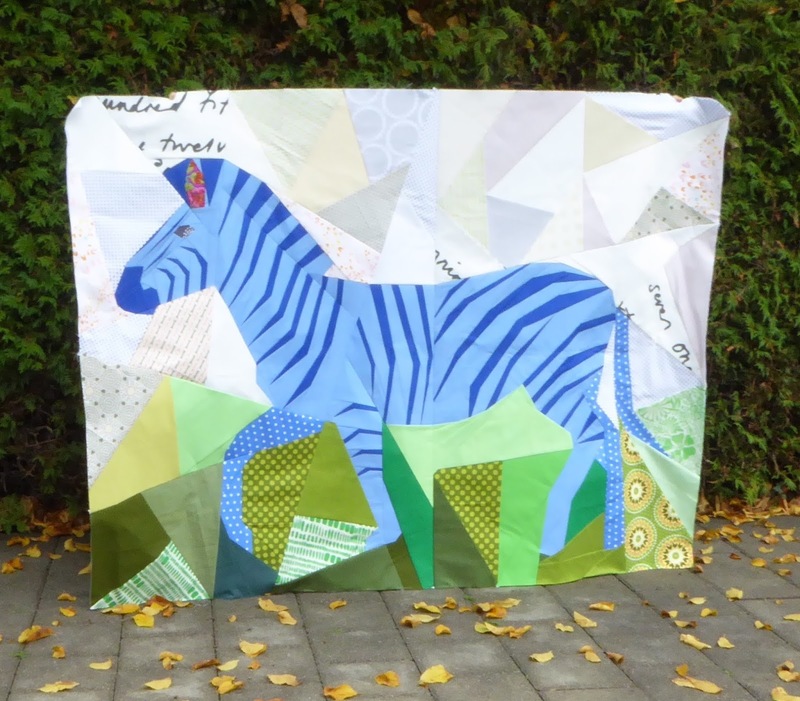 Elisabeth was creative with a blue zebra. She very bravely tested the pattern when I formatted it for A4 paper. If I remember correctly, this version of the pattern was over 60 pages of pattern pieces- that's a lot of cutting and pasting! I felt a bit bad for Elisabeth when I pulled the plug on this version of the pattern, but honestly it would have taken me years and years to finish proofreading and altering this version of the pattern. 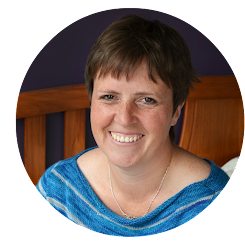 Although Ann didn't manage to complete the pattern, she gave me some great feedback which really helped to improve the pattern. 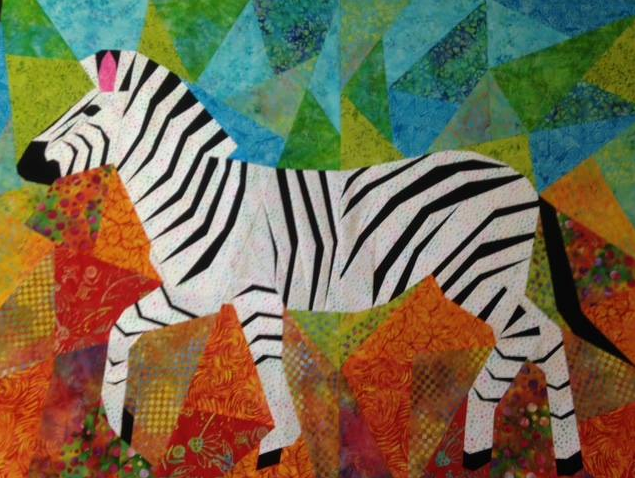 I love the way that she used her fabrics in her version and look forward to seeing her finished zebra. 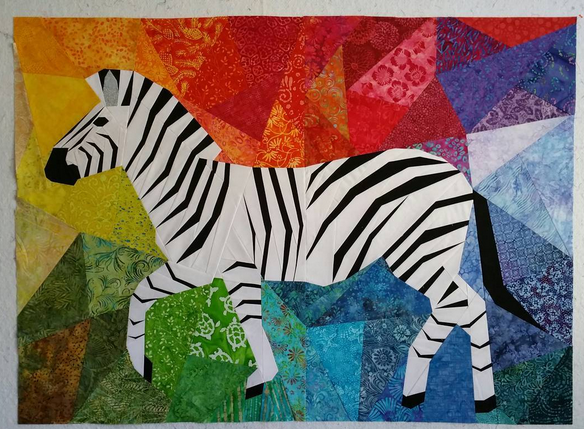 If you compare these zebras to the ones that will follow, you can see the changes to the legs and hooves that they suggested. The second round testers were more concerned with finding the small detail mistakes- wrong numbers, inconsistencies, grammatical mistakes. 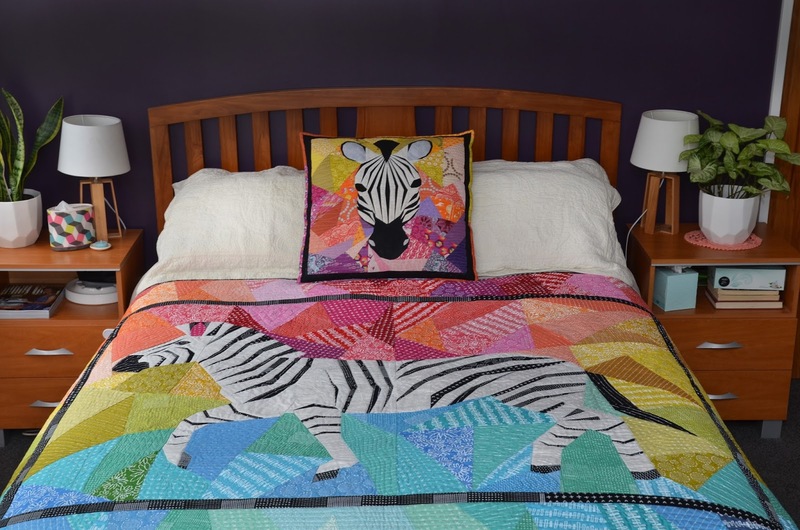 They scoured the pattern and found a whole heap of things that I could improve. They also sewed some beautiful zebras. Don't you just love this interpretation of the pattern and the adorable photo! Just look how proud Leonie's girls are of the beautiful zebra that their talented mum made- I love it!!! Leah went for beautiful graduated rainbow colours. 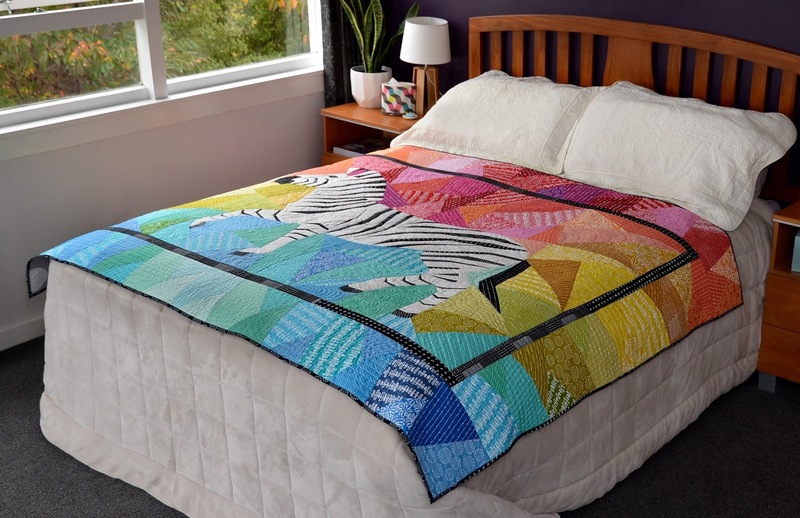 Becky also created a stunning rainbow quilt. 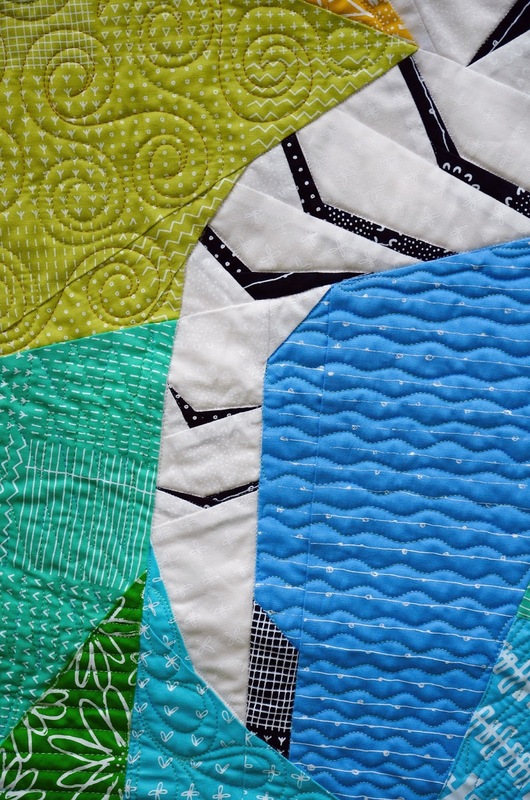 I love the blue sky and green ground of Wyna's zebra quilt. 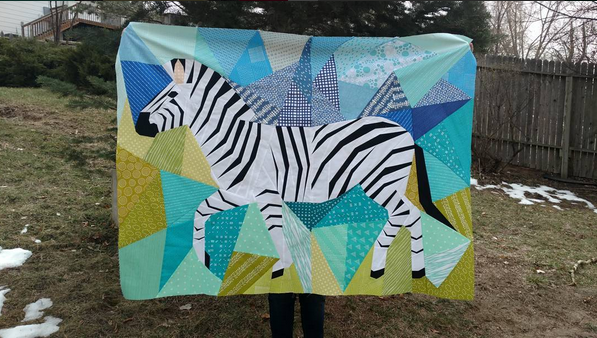 It's hard to see from this photo, but Lynn used a really fun subtle spotty print for the white of the zebra. It's fun and works really well. I am super proud of this pattern and really hope that you will love it as much as I do. 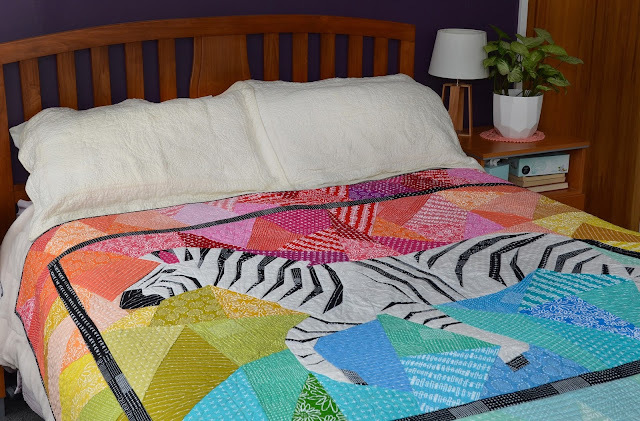 It's really fun to create a bed sized quilt from a single paper pieced pattern. I sometimes feel that I don't thank my testers enough so I wanted to make sure that they all know how much I value their input. 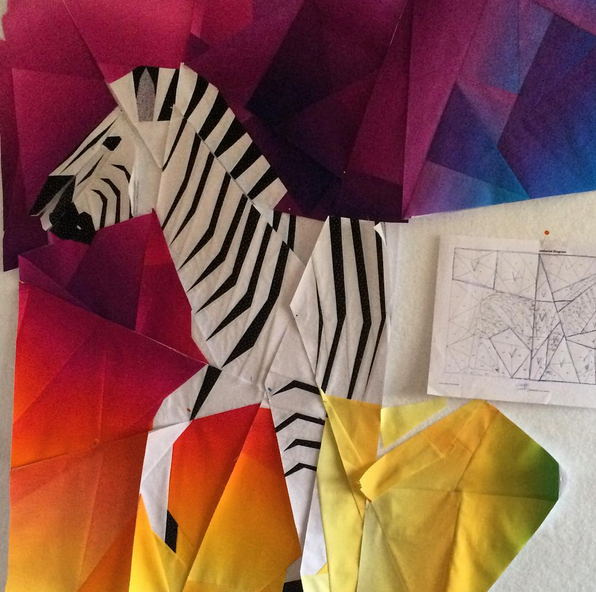 I learn new things from testers all the time and love that they give me a different perspective on paper piecing. Ermahgherd!!! I love this. As soon as I can figure out how to print it on A3 I'm buying it. Stellar work once again. These are all absolutely fantastic! 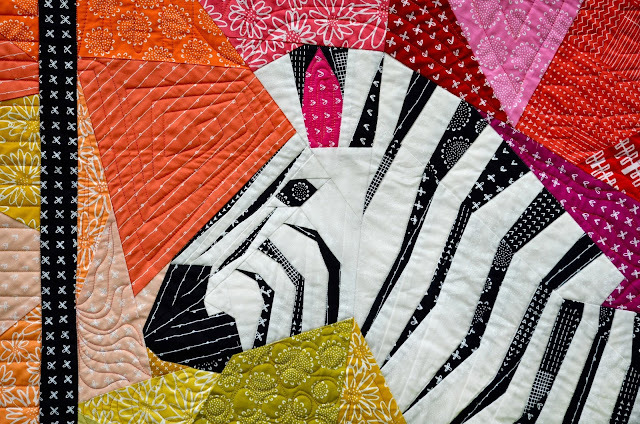 What a wonderful pattern, I am going to add it to my to-do list! Well done everyone! Absolutely amazing! I loved seeing all the versions of this quilt!